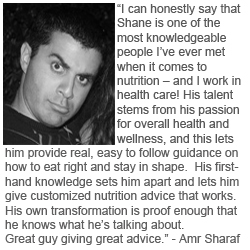 My name is Shane Organ, and I know everything there is to know about health and wellness. Well, that’s not entirely true. I can’t back that up. The fitness and nutrition industry is always changing and there is always a lot of material to learn. The truth is…I’m a certified nutrition specialist who likes to think he knows a thing or two about eating and how it affects our health. If that’s enough for you then I encourage you to read on! So Healthy Nutrition is my blog, baby, and internet home. I created the space as a tool to help develop my own knowledge and share my own views with hopes of helping others in the process. The industry is extremely noisy and the last thing I want to do is add more racket to the ongoing symphony of “my way is best.” All of the content found on So Healthy Nutrition is based off of my own views and non-persuasive interpretations of topics circling the wellbeing world. My viewpoint on healthy living is quite simple. I believe that eating well and being active are key components for enjoying optimal health, but it shouldn’t control your existence. It is best to learn the basics and then take action in a way that fits your life. What works for someone else may not work for you. So Healthy Nutrition puts an emphasis on healthy eating, but it also covers a variety of health-related topics such as women who fear to lift heavy weight, how stress effects weight gain, and even simple, delicious recipes like my scrumptious cumin spiced pork chops. Everyone can benefit from the content found on my website. Sometimes my posts are very scientific yet sometimes they are very conversational and engaging. Whether you are a fitness guru or a parent looking for recipes to keep your family healthy, you will be able to take something away from what you read. My main goal is to have you enjoy your stay. One of the coolest features that I provide at So Healthy Nutrition is the ability to subscribe to my newsletter, Discover Life Through Food. Subscribers get interesting, intelligent, and straight-up awesome articles delivered directly to their email inbox, as well as special posts, offers and contests that non-subscribers don’t have access to. So get comfortable, read a few posts, and indulge in some motivating information that can change your look on healthy eating, and even fitness in general. Allow me to be your destination for up-to-date nutritional guidance and entertainment. 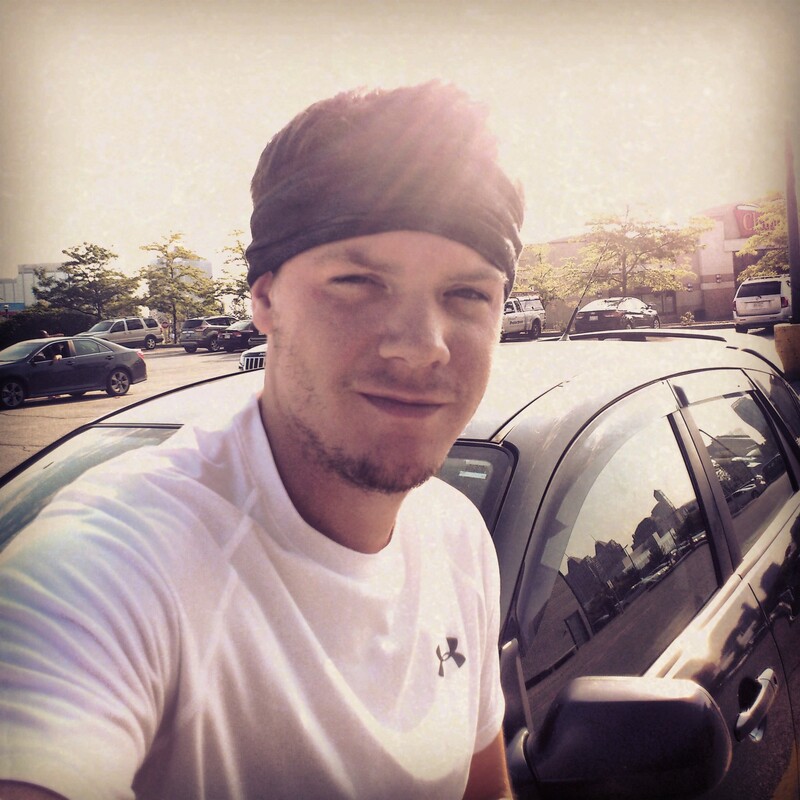 Great blog Shane! I will keep coming…I simply like your blog. Thanks a ton! I look forward to seeing you around. I’m glad you did too haha. If you ever want to see specific content, let me know. I usually try to post what my readers want. If you don’t mind me asking, what organization did you get your wellness/nutrition certification through? I’m asking because I want to become certified. I’m certified through Can-Fit-Pro. Are you Canadian? No luck. I just read that you’re from Portland. If I hear tell of an organization that provides certification over there I will keep this in mind. No, I’m not Canadian — a U.S. citizen. I take it this is specifically for Canadian citizens? It’s an organization based out of Canada unfortunately. 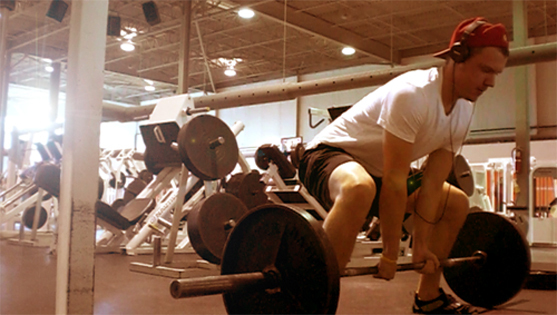 Try checking out personal training organizations as some of them do nutrition and wellness courses as well. Hope that helps. I did find some options here, but I like to get feedback from people that have a certification to know if it’s worthy or not. Thanks for your help!